Neville's Haze x Mango (regular) Mr. Nice can be a challenging strain and is not for the inattentive gardener, but it will reward you with a 450-500g/m² harvest. 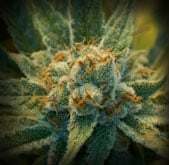 Its flowering time depends on the phenotype you chose to work with and varies from 10-14 weeks. 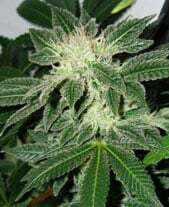 It is suitable for indoor and outdoor cultivation but one should take the size in consideration as these ladies grow pretty big.